Attractions like Perth Zoo and Cottesloe Beach make great kid-friendly stops. 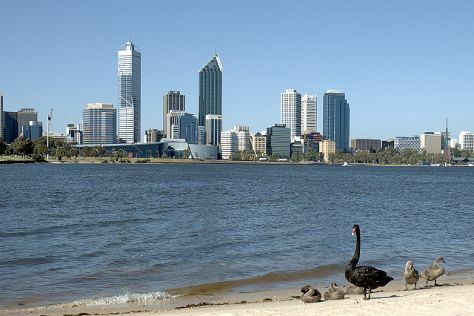 You'll find plenty of places to visit near Perth: Caversham Wildlife Park (in Whiteman), Dolphin & Whale Watching (in Mandurah) and Rockingham Beach (in Rockingham). Dedicate the 18th (Thu) to wine at some of the top wineries in the area. On the 20th (Sat), give your taste buds a day to remember with a local gastronomic tour. There's lots more to do: contemplate the waterfront views at Swan River, make a trip to Fremantle Prison, browse the eclectic array of goods at Fremantle Markets, and stroll around Kings Park & Botanic Garden. To see traveler tips, maps, other places to visit, and other tourist information, refer to the Perth day trip planning website . If you are flying in from Malaysia, the closest major airport is Perth International Airport. In July in Perth, expect temperatures between 21°C during the day and 8°C at night. Wrap up your sightseeing on the 20th (Sat) early enough to travel back home.